Resolute today announced that it has concluded the sale of most of the assets of its recycling collection division, AbiBow Recycling LLC, which includes the Paper Retriever and EcoRewards programs, to EWJ International, Inc., an affiliate of Jordan Trading, a company that has been involved in the paper recycling industry for many years. The transaction includes agreements to supply recovered fiber to our Thorold (Ontario), Augusta (Georgia) and Mokpo (South Korea) paper mills. Two of the 18 paper collection operations, in Boston (Massachusetts) and Thorold, are not part of the transaction. The Company is looking for other opportunities to sell these operations. The decision to sell the collection division is consistent with Resolute’s objective to focus on our core businesses: pulp, paper and wood products. 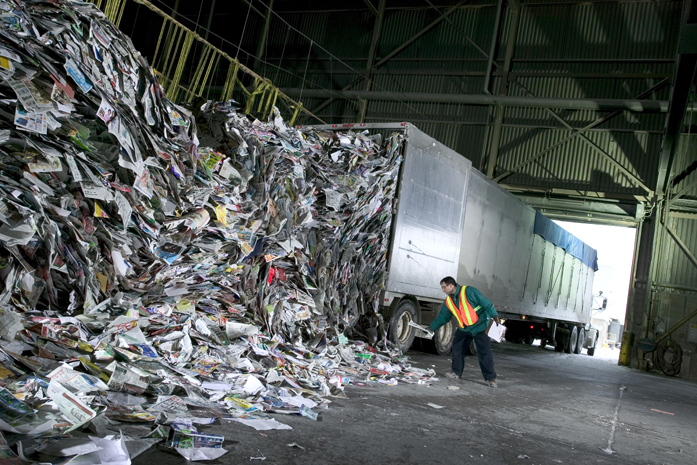 While the Company is selling its paper collection programs, we remain fully committed to supporting paper recycling through our manufacturing operations. We will continue to produce 100% recycled newsprint at our mills in Thorold and Mokpo, as well as recycled content newsprint at our Augusta and recycled specialty papers at the Calhoun mill, in Tennessee. We will also continue to produce 100% recycled pulp at our U.S. facilities in Fairmont and Menominee.